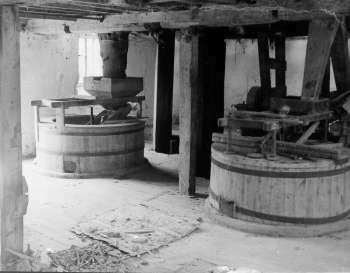 Bacton Wood watermill at Spa Common, North Walsham was on a Domesday site and the last working mill was rebuilt in 1747 and underwent further extensive modification c.1825 in anticipation of an increase in trade due to the opening of the North Walsham & Dilham Canal in 1826. 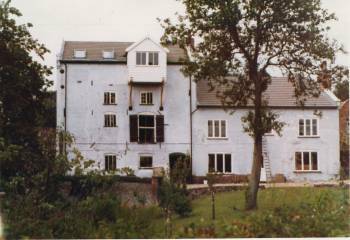 Construction was of originally of white rendered brick with a slate roof, however unusually, the mill house had a Norfolk pantile roof, although, this too was changed to slate in later years. The new wheel was made of cast iron and was 18 feet in diameter and 8 feet wide and was almost certainly larger than the previous wheel, intending to take advantage of the increase in head of water. The pit wheel and wallower were both made of cast iron, as was the spur wheel, which meshed with the wooden teeth of the stone nuts. The wheel powered three pairs of stones, 2 pairs were French burr stones and the other was of a composite material for animal grist. The inventor, Sir William Cubitt was born at Dilham in 1775 where his father Joseph ran a mill. From an early age William helped his father in the windmill, showing particular aptitude in the repair of the machinery. 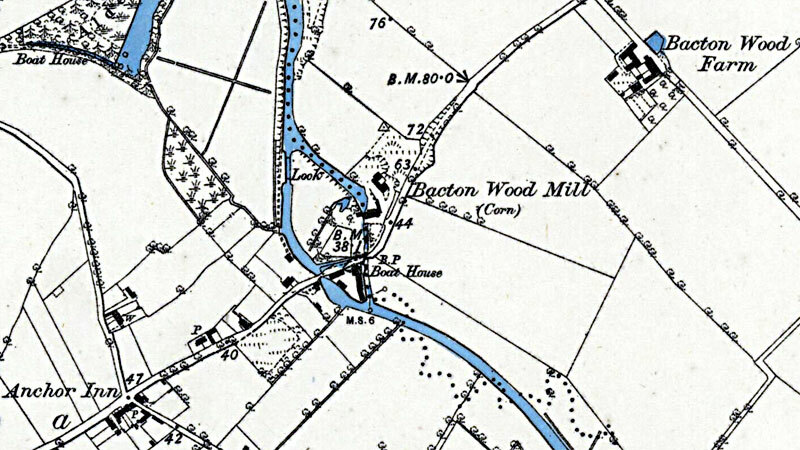 A few years later in 1802 his father moved to Bacton Wood watermill and William joined him in 1804. William then had several jobs within Norfolk before moving back to Bacton Wood mill in 1807. On 9th May in that year was granted a patent titled 'Method of Equalising the Motion of the Sails of Windmills.' This was a system of self regulating shuttered windmill sails,known as Patent Sails that eventually became the industry standard, replacing the canvas covered Common Sails. It is said that he was associated with Ludham millwright, William England, who was some 15 years his senior, and it was he that installed the first of the patent sails in windmills at Horning and Stalham. William Cubitt then embarked on an illustrious career in civil engineering that included general, railway and waterway projects. He died in 1861. 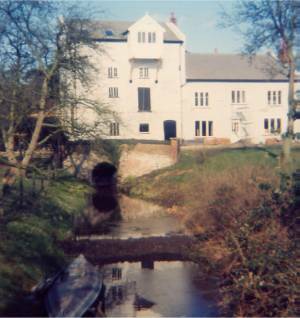 Joseph Cubitt worked the water mill in conjunction with the nearby Bacton Wood postmill. All that Capital WATER MILL called Bacton Wood Mill, (which is capable of manufacturing regularly about seven lasts of wheat per week) with a small but comfortable dwelling house, good garden and orchards, shrubbery, yards, stables, cow houses, piggeries, granary, cart-lodge, and other convenient outhouses, and about nine acres of arable and meadow land, situate in Edingthorpe and North Walsham in the county of Norfolk, late in the occupation of Mr. Joseph Cubitt, deceased, and now in the occupation of his Executors. The above Estate is wholly Freehold, and being situated upon the bank of a Canal navigable to Yarmouth, in a good corn country and populous neighbourhood, within a mile of the Marketplace of North Walsham, possesses facilities for carrying on a considerable London Trade at a comparative trifling expense. Possession of the Estate may be had at Midsummer or at Michaelmas next, at the option of the purchaser, who may be accommodated with one half of the purchase money on mortgage. For price and further particulars apply to Mr. Deyns of North Walsham, at whose Office a Map of the Estate may be seen. William Harrison Wells was born on 24th September 1805, the son of William and Sarah Wells. William Wells snr, who was born c.1781 in Lound, Suffolk, married Sarah Harrison in Gt Yarmouth on 29th January 1804. William snr was almost certainly a miller by profession but it's not known where. He died at some time between the census in 1841 and 1851 and the 1851 census lists Sarah Wells as the widow of a miller. William jnr was given his mother's maiden name as a middle name and obviously learnt milling at an early age. He married Harriet Howes at West Somerton on 9th May 1832. 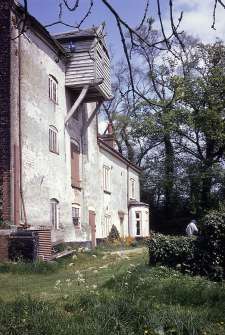 On Monday (22nd) Edgar PAGE, aged 28, a miller in the employ of Mr. William BURTON of North Walsham had been oiling some of the works of the mill while it was at work and was found by Mr. Burton (who had wondered at not seeing him since breakfast) lying on the second floor of the mill quite dead with his head smashed and other injuries from which death must have been instantaneous. It is supposed that his clothes were caught by which he was drawn in by a horizontal wheel between 3 and 4 feet in diameter which appears to have taken him quite in and to have flung him out on the floor. The deceased had been several times cautioned not to run such risks as to oil the mill with a can when a pipe was provided to avoid danger. He has left a widow and one child. On the following day an inquest was held by W. H. SCOTT, Esq., Deputy Coroner and a verdict of 'Accidental death' recorded. On 5th instant Mr. William BURTON, Miller and Merchant thrown out of poy cart and fatally injured. This was the only official canal in Norfolk and was really the canalisation of the River Ant. It was made wider than most other canals in order to accommodate Norfolk wherries. 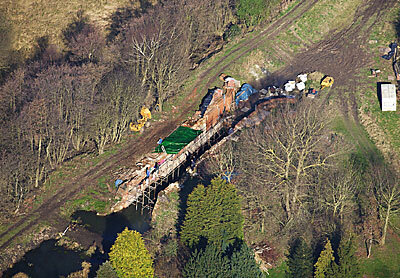 The main cargoes were offal to the two Antingham Bone mills with return loads of fertiliser. 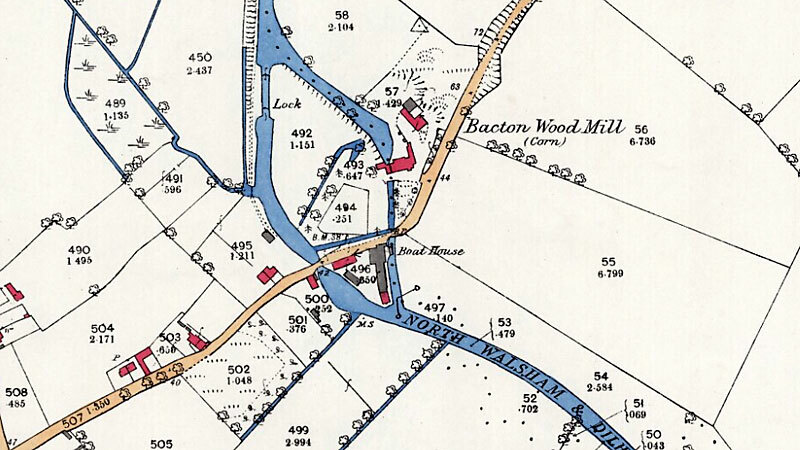 Corn and flour moved in and out of Bacton Wood and Swafield mills with other commodities such as timber, farm produce and coal making up the majority of the remainder of trade. It was hoped that coal would be the mainstay cargo but this never materialised. The canal was just over 8¾ miles long, ran from Smallburgh to Antingham and contained 6 locks: Honing, Briggate mill, Ebridge mill, Bacton Wood mill, Swafield lower and Swafield Upper. On August 29th 1826, the canal was completed to the Antingham_Bone_Mills. It was officially opened when a large procession of boats carrying over 1000 people, led by The Lieutenant of The County and Lord Suffield, sailed the whole length. The day ended when some 55 local gentlemen retired for a dinner at the Kings Arms with the Lieutenant and Lord Suffield. From 1874 to 1907 the the Press brothers worked wherries on the canal. One wherry was called Ella, she was about 55' long and 12' 6" wide with a draught of 3' 6." Her capacity was 20 tons and her incoming cargoes included grain for the mill, fishmeal, timber, coal, salt and even groceries and wine from Lowestoft or Yarmouth. Outgoing cargoes included flour, oak billets for fish smoking, and during autumn and winter, sugarbeet to Cantley factory. Ella was the last commercial craft to use the canal and left Bacton Wood Staithe for the last time in 1934. Sale particulars for properties to be auctioned at the Mart, Tokenhouse Yard, London, EC., on Wednesday 11th September 1907 at two o'clock in then afternoon in eight Lots. The first seven Lots by instructions of the Executors of the Will of Edward Press., Esq., deceased. Auctioneer: Harry H. Arnold, 9 Bank Plain & Stand No. 72, Corn Hall, Norwich. Vendor's Solicitors: Messrs. Sadd & Bacon, Church Street, Theatre Street, Norwich. 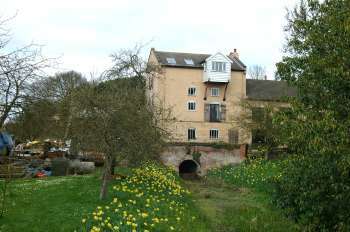 The most Substantially Built Red Brick and Slated WATER CORN MILL Erected in four floors, with Granaries and Store Chambers, having Brick Built Bridge with Brick Arches. The Red Brick and tiled RESIDENCE containing on the Top Floor - Large Attic; On the first Floor - Landing, Four Capital Bedrooms and Box Room; On the Ground Floor - Entrance Hall, with cupboard under stairs, Sitting Room with register stove, Dairy wit brick floor; Kitchen with range and sink; Pantry; and a Room partitioned off and used as an Office with entrance from the Mill. 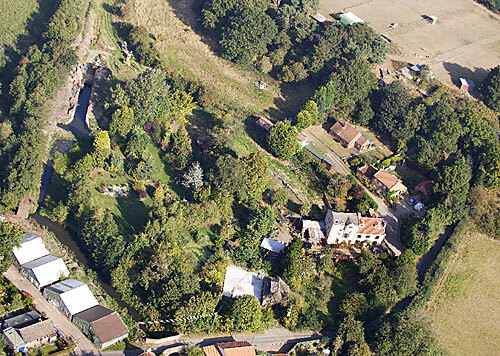 Enclosed GARDEN in the Meadow in front and CAPITAL ENCLOSURE of OLD PASTURE LAND the whole containing an area of 2a. 1r. 18p. or thereabouts, as set forth in the following SCHEDULE. The Purchaser of this Lot will have to pay the sum of £125. 4s. 0d. in addition to the purchase money for the Portable Engine and certain Mill Fixtures, and the Two Greenhouses erected in the Garden. The Owners and Occupiers of this Lot will have a right of entry (but on foot only) over 6-feet in width of the Property forming Lot 5, immediately adjoining the Mill House and Premises, for the purpose of carrying out repairs to the buildings sold as part of this Lot. At the Mart, Tokenhouse yard, on Wednesday, Mr. Harry H. Arnold sold the North Walsham and Dilham Canal (running from Antingham basin to Wayford bridge) for £2,550, and Bacton Wood Mill for £550. The total amount of the sale was £4,305. A Dodman steam plant was in use during the later part of the 1800s to help with the summer water shortage. When the the cast iron boiler blew up, an 18 h.p. 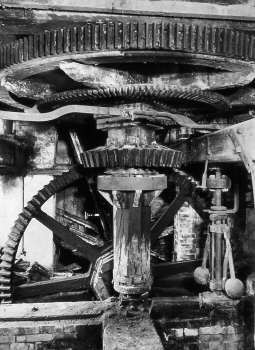 Hornsby hot bulb engine was installed c.1910. 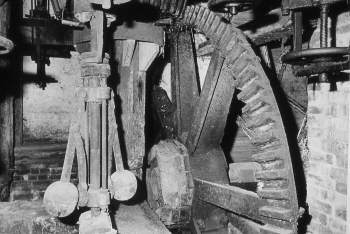 During restoration of the mill c.1984, this engine was eventually sold to enthusiasts and the intention was then to install the 40 h.p. Crossley engine from Aldborough Mill that standing in the cartshed. 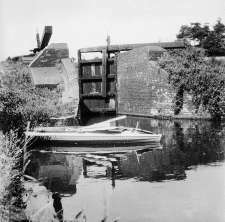 During the latter days of the war the mill was driven by a standby diesel engine as the canal had burst its banks and no water was available. 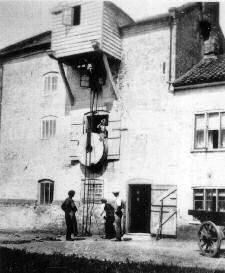 The oat crusher was later removed by Barclay & Pallett to be fitted into Aylsham Mill. 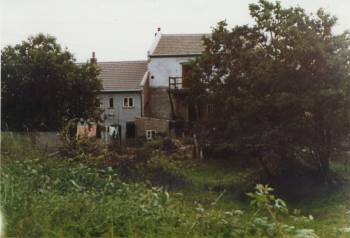 The mill was last used by Barclay & Pallett & Co Ltd in 1944 and had started to become derelict before being sold to a sympathetic new owner on 25th May 1969 for £2,000. 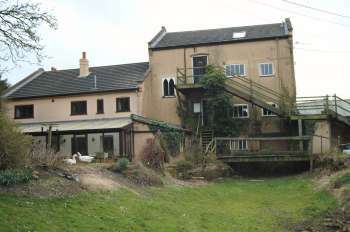 The new owner intended to leave the machinery intact and create a home around it. 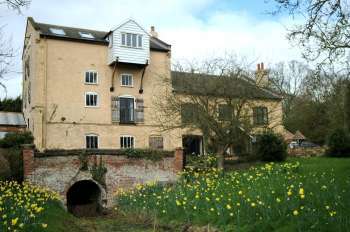 A NORTH WALSHAM man is seeking the support of a Government department and five other authorities in a bid to get a 226-year-old Norfolk watermill working again on a limited basis. 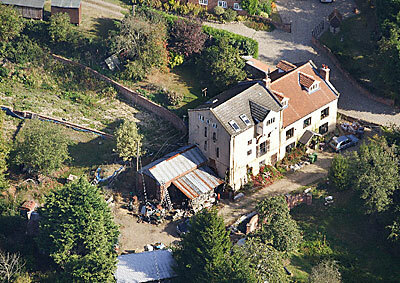 Mr. Derek Jones bought Bacton Wood Mill - a grist mill - at Spa Common, North Walsham, nearly four years ago. It was semi-derelict. He and his wife have renewed the roof, repaired most of the brickwork and made themselves a flat on the top floor. Now he feels he has a little time to think about restoring the waterwheel - about 30 of its paddles are missing - and the grinding stones. 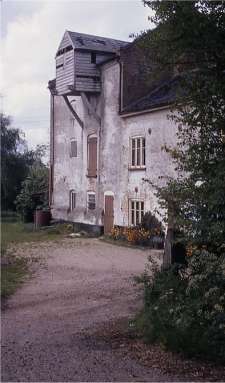 In granting permission for the change of use of the mill to a house, planners made it a condition that the wheel and three pairs of grinding stones should be kept in the building. Mr. Jones's dream is to see the wheel and one pair of stones turning again. 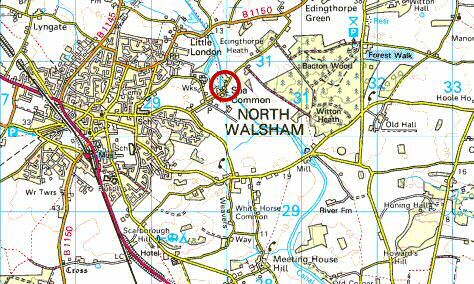 For this to come true a flow of water would have to be restored in the upper reaches of the disused North Walsham and Dilham Canal over a distance of about a mile from Swafield Lock to Bacton Wood Mill Lock. As there is still a small flow of surface water in the canal he feels that increasing it to a depth of about 18 inches would not cause any problems. It would be necessary to clean out the canal bed. A weir would have to be constructed across the top of the lock at Bacton Wood Mill and some form of aqueduct would have to be made across a breach made in the canal bed some years ago. this could incorporate a control weir to apportion the water between the canal and a drainage ditch which passes North Walsham U.D.C. 's sewage farm. It would also be necessary to repair a breach in the canal bank above Royston Bridge through which water at present escapes into the drainage ditch. Mr. Jones has put his ideas to the Department of the Environment, the East Suffolk and Norfolk River Authority, Smallburgh Internal Drainage Board, Norfolk County Council, North Walsham U.D.C. and Smallburgh R.D.C. He had previously been in touch with the Canal Company. Though it would be opposed to building up a head of water such as the canal used to carry it had no objection to a small flow such as Mr. Jones has suggested to operate the wheel and a pair of stones. Mr. Jones said he hoped that perhaps the River Authority might lend a hand with some of the work and that the County Council might make a grant towards the cost in the same way that it had given financial assistance for the restoration of some windmills. If no help was forthcoming from the authorities, but they did not object to his plan, then he would try to ge the work done voluntarily. Mr. Jones made it clear there was no question of trying to bring the mill back into commercial use. 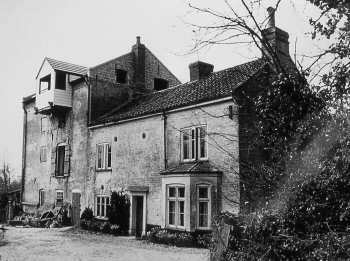 Bacton Wood Mill occupies a site dating back to Domesday and was rebuilt in 1747, Mr. Jones said it was last used by Barclay, Pallett & Co. Ltd. in 1944. 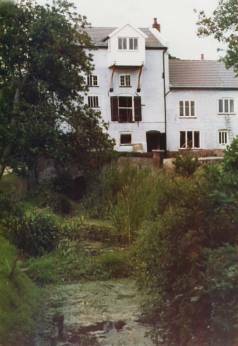 As a practical man who does not mind getting his hands dirty, it was inevitable that when Laurie Ashton bought a disused north Norfolk mill in 1994 he would eventually want to restore it. And because Bacton Wood Mill is beside Norfolk's only canal - long disused - Mr Ashton is also very keen to bring that back into use as well. 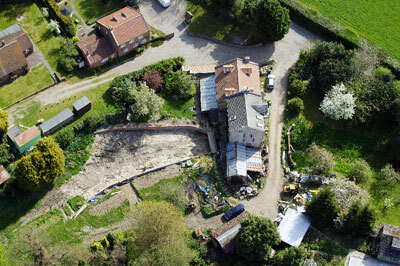 He is so passionate about the project that in 2009 he and his wife Julie formed the Old Canal Company and bought a two-and-a-half mile stretch of the North_Walsham_and_Dilham_Canal, between Ebridge Mill lock and Swafield Bridge. Mr Ashton, 65, knows what he is talking about when it comes to both machinery and water. A chartered electrical engineer from Essex, he was a regular weekend visitor to the area in the 1960s as one of the first volunteers on the North Norfolk Railway. 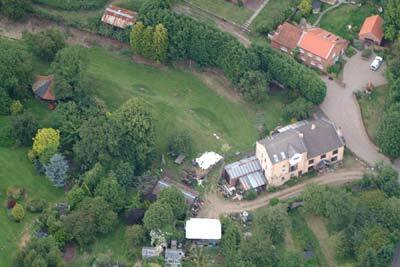 When the couple moved to north Norfolk, they bought two boatyards, at Wayford and Hoveton. 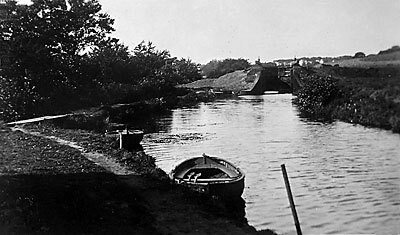 The near nine-mile canalisation of the River Ant opened in 1826 and stretched from Antingham to Wayford bridge. 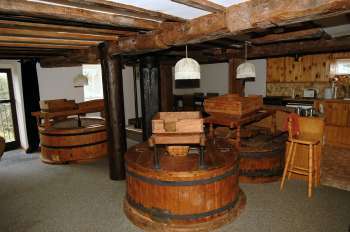 It included six locks capable of taking small wherries which carried goods including flour and animal feed. 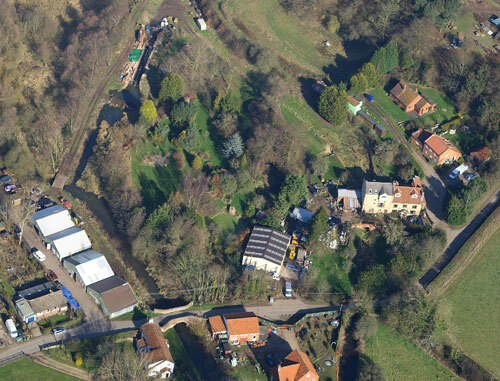 The last wherry to use the canal was the Ella in 1934 after which the waterway gradually became choked with vegetation and the section above Bacton Wood Mill dried out. 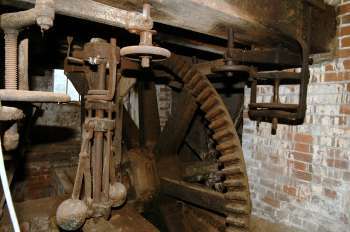 The mill machinery had been intact but “worn into the ground” he said. The 18ft 6in wheel was in situ, but rusted and missing its wooden paddles. Over the years he has rebuilt the tail race bridge, stabilised all the brickwork in the wheel pit and restored the wheel, though it still lacks the paddles. But the centre piece of Mr Ashton's restoration work to date is the lock, once completely overgrown and suffering from neglect. With the help of retired brickmaker John Brice he has spent three years restoring it, investing about £40,000 alone in some 57,000 bricks, and about £2,500 on the bottom gates. The top gates are next on the list. This winter Mr Ashton hopes to kickstart the re-watering of the canal above his mill by filling a breach in the bank near Royston Bridge and installing a sluice gate he has made. Success would mean the wheel of a mill first recorded in the Domesday Book could turn once again. The river divided above the mill and the section that used to feed the mill has long since dried up as the level of the river and the canal dropped to nearer natural levels once the canal closed. Kelly's 1912: Pallett, Barclay & Co.